Just got a Japanese visa. I leave with J on April 3. 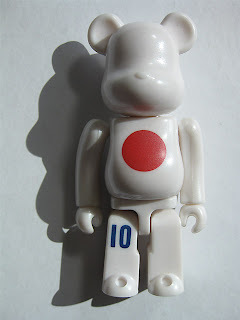 (Left) Japan 'We Love Football' Bearbrick. Kentucky Fried Chicken in Hong Kong celebrated the 2006 World Cup with a series of 12 Be@rbricks, which include Germany, Italy, Spain, Netherlands, Mexico, USA, Korea, France, Argentina, Brazil, England, and Japan. A headband is a very practical accessory. It is used by women to keep hair away from the face. Lewis Caroll's 'Alice in Wonderland' wore one, remember? Back in the 80s, Australian singer Olivia Newton-John popularized a variation called the sweatband in her 'Let's Get Physical' video. Today, headbands have become even more fashionable, thanks to trendy girls like Blair Waldorf of Gossip Girl, and guys (!) like athlete David Beckham and pop idol Joe of the Jonas Brothers. The Series 14 'Cute' Bearbrick (above, right) also wears a headband. 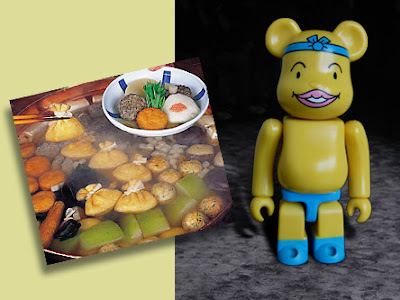 It is a representation of 'Oden-Kun', a character from a 'picture-book-turned-anime-series' created by Lily Franky (a.k.a. Masaya Nakagawa, a Japanese illustrator, writer, actor, musician, and photographer). 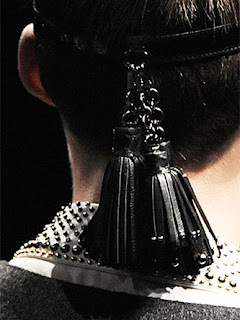 Meanwhile, in the world of fashion, Miuccia Prada created modern day warriors wearing studded leather headbands for Fall 2009 (left and below). The theme? "Survival," she said. "And to survive, you have to be strong." Because of the global economic crisis, life will be one tough fight for survival. 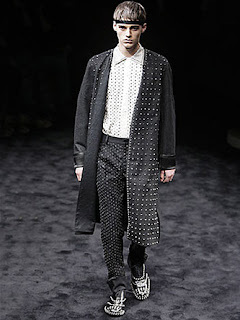 Especially for luxury brands like Prada.